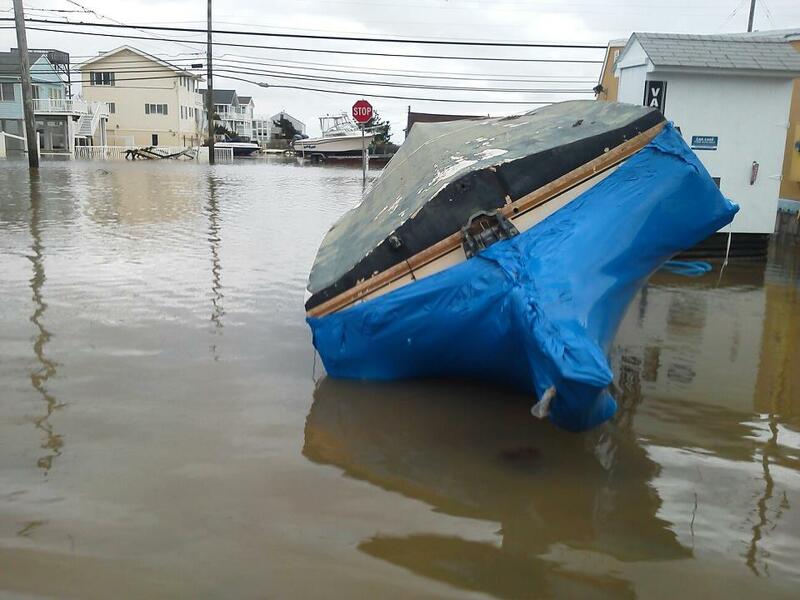 If your house was affected by Hurricane Sandy and Flooding on Long Beach Island NJ, here are some helpful tips (after of course contacting FEMA). Above all else, make sure you photograph and document EVERYTHING that concerns Hurricane Sandy and Flooding on Long Beach Island NJ. Keep in mind that these are suggestions and should be verified with your insurance broker. All flood insurance policies are different and depending on your carrier, they may prefer a different strategy. First take pictures of everything as it lies. Secondly take a picture of your walls showing the water marks and how high they were. Use a tape measure so u can identify height. If u have carpet, rip it out, padding and all but be sure to save at least a 1 foot by 1 foot (1×1) section as proof of the flooding. There will be no cleaning of it, water will be trapped in it forever and this is not the type of water u want. Next u have to cut your Sheetrock out along the bottom of all your walls. Measure 12″ above the water line and cut. Then u must remove the insulation at this same level. Both Sheetrock and insulation acts sponges absorbing and holding all the water. Once all the wetness is removed your framing is exposed. This is where things need to dry. FULLY! If u have power, put dehumidifiers in the rooms. If u have flooring such as linoleum this has to be removed because water will be trapped under it. Our major enemy here is mold. If framing does not get to dry out mold will form and travel up the the interior of your wall. This is not an easy task and it may be best to hire a professional.The same is true for crawl spaces. There is insulation under most of the homes on Long Beach Island NJ and not removing this insulation will be a magnet for mold. It is also important to not forget the flex ducts for heating systems that can run in your crawl space. These fill with water as well and meed to be ripped out. This will ensure that there will be no future damage. Above all else, SAFETY IS KEY! These recommendations may be above the skill or ability of some people so keep in mind your limitations and hire a contractor if need be. Remember to photo document every step of the way. You can never have too many pictures. Please let me know if you have any questions. I am here to help.